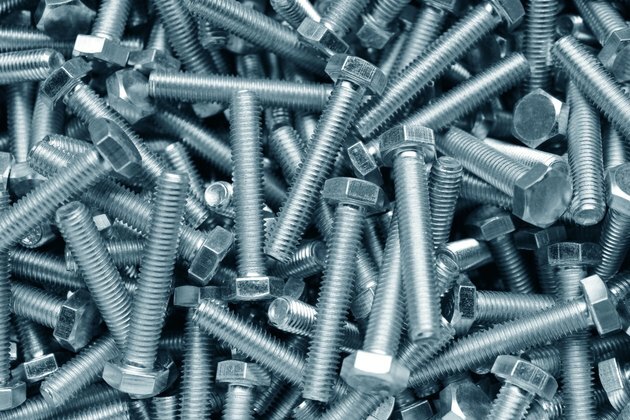 Bolt threads are measured in two ways: Imperial thread size is measured in "TPI" – or threads per inch – whereas metric bolt threads are measured in "thread pitch." There is enormous variance in bolt thread size, and different threads are used for different mechanisms. Being unsure of exactly what bolt thread size you're working with can be very confusing, and an inaccurate guess can often mean buying a number of matching pieces that are the wrong size. Knowing how to measure and calculate bolt thread size can help you ensure that you have the exact right bolts for the project you are working on. 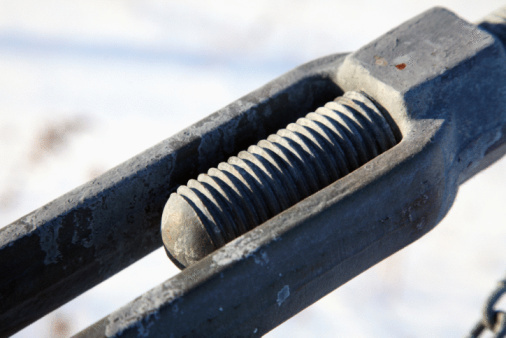 Bolts produced in the United States for American products are measured in threads per inch. You can measure using a ruler, counting the number of thread tips per inch. For a metric bolt, use the ruler to measure the distance between thread tips. There are other methods for measuring both metric and imperial bolts. The most popular is with a thread pitch gauge. A thread gauge is available at most hardware and home improvement stores. They have a serrated edge stamped with measurements. By looking at the number stamped beside the edge that sits tightest on the gauge, you can determine the thread measurement. If you don't have a thread gauge, there are printable thread gauges available online that allow you to print out an approximate gauge and use it to measure. This is very helpful if you need to know the thread measurements in a pinch. But if you are going to be measuring bolt thread size on a regular basis, purchasing a thread gauge is recommended. You will need both the thread diameter and the thread pitch to determine the thread size. If you are measuring Imperial bolt thread size, you'll need to record the measurements as thread diameter followed by a hyphen, then the thread per inch measurement. For metric bold thread size, the formula is the thread diameter, followed by the "x" symbol and then the thread pitch number. If you do not have access to any of the measuring techniques described above, you can go to most home improvement or hardware stores and ask if they have a thread insert device. They consist of a display center with a number of bolt receiving inserts and their measurements, so you can insert the bolt you have into the piece and discern which size it is. This will help ensure that you get the exact fit you need.